It proved to be a red letter day for a Burgess Hill post office when they picked up a major award. World’s End Post Office in Leylands Road was voted top performer in 2018 at the Post Office national awards. 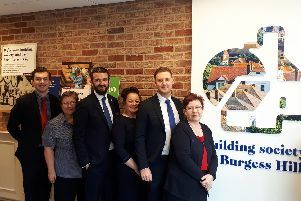 The award puts the Burgess Hill branch among the country’s best branches. The award was bestowed at a special post office retail sales awards ceremony in London. The ceremony celebrated the hard work, community spirit and excellent levels of service provided to customers by teams and individuals working in over 11,500 branches. The team from World’s End picked up the title of top performer category. And the official stamp of approval has delighted postmaster Nishanthan Shanmuganathan. He said: “We are really proud of our achievements. “I am really delighted to receive this award. Debbie smith, Post Office CEO of retail, also paid tribute to the branch’s staff. She said: “People working in branches such as World’s End Post Office are passionate about what they do, working incredibly hard every day, providing services that really matter to our customers.